Let me know if this sounds familiar, Kevin White didn’t participate in practice. The former No. 7 overall pick in 2015 didn’t suit up for Tuesday’s practice, and just like that, there is already speculation about White’s health – two days into OTAs. There you have it, the always trustworthy Fox reassured Bears fans that the injury prone receiver hasn’t sustained any new injuries – yet. But, what if he did? White did practice Monday and impressed his new starting quarterback Mike Glennon. “He made some really good plays yesterday that got me excited and the rest of the team,” Glennon told reporters on Tuesday. The team may have to hold back their excitement, especially if White suffered another setback. 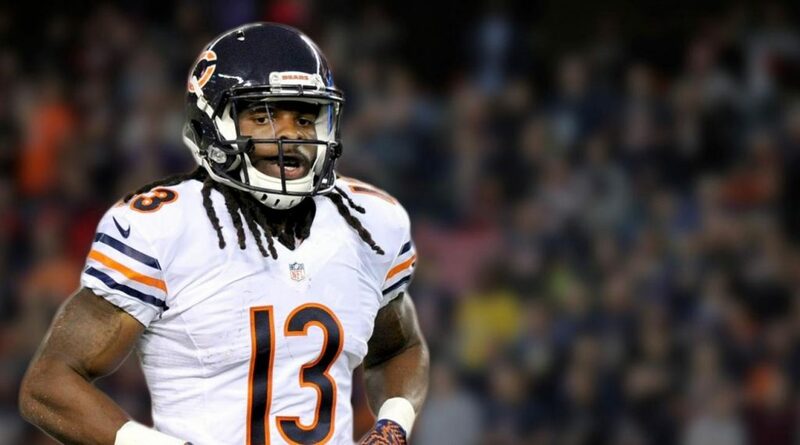 What if the Bears were just keeping quiet about another possible injury? The franchise seems to have perfected the art of secrecy as of late. In White’s rookie season, he stopped showing up to practice and nobody outside of the organization knew that he suffered a stress fracture in his left tibia. Don’t be surprised if another injury is waiting to be announced. Why else would someone who has missed 28 games in his first two seasons not be practicing? He missed all 16 in his first season and 12 in his sophomore campaign. Another injury for White would further hinder his progression into becoming a contributing member of the offense. Coming out of West Virginia, White needed work on his route running and failed to gain the necessary practice time his rookie year. In his second season, he caught 19 passes for 187 yards and looked to be making progress. But in the Week 4 win against Detroit, White suffered a left fibula spiral fracture and significant ankle ligament damage, that ended his season. This year was primed to be different. White switched numbers from 13 to 11, idolizing Cardinals wide receiver Larry Fitzgerald. When the Bears let Alshon Jeffery walk, they were confident White would be capable of showcasing that 4.3-40 speed they saw two years ago. And most importantly, he would be available, coming into this offseason at 100 percent. Another injury to the former first-round pick that causes him to miss a significant amount of time would put White in the category of being a draft bust. But maybe Fox was telling the truth and White just didn’t practice for some other reason. Which personally, doesn’t make sense considering how much he needs to develop, and the expectations of him being the No. 2 receiver. White also has a new wide receivers coach in Zach Azzanni and should be trying to get as many reps as possible. Oh, and Glennon would probably enjoy gaining some chemistry with not only him but all his receivers before the regular season starts. Even if White is healthy now – how long will it last? Instead of providing answers for an organization that is seeking many on both sides of the ball, White’s career thus far has done the opposite and only created more and more agonizing questions.